PORTLAND, ME – July 13, 2018 – The Maine Mariners took a big step in shaping the roster for their inaugural season, announcing the signings of four players on Friday. Forwards Ryan Ferrill and Tyler Maltby, defenseman Alex Adams, and goaltender Connor LaCouvee have all agreed to deals with the Mariners for the 2018-19 season. Connor LaCouvee (6’1, 201) comes straight from the college ranks where he led Minnesota State-Mankato to an NCAA Tournament run in between the pipes. LaCouvee posted a 23-6-1 record with a 1.80 goals-against average and a .914 save percentage. The wins and GAA marks landed him in the top five nationally. The 24-year-old LaCouvee hails from Qualicum Beach, British Columbia. He played three seasons at Boston University before transferring to Minnesota State. Ryan Ferrill (6’3, 218) has ECHL experience with the Greenville, suiting up for four games with the Swamp Rabbits in 2017-18. A native of Havertown, PA, he played four years of NCAA DI hockey at the College of the Holy Cross in Worcester, MA. The 25-year-old forward also played Junior hockey in New England, suiting up for the New Hampshire Jr. Monarchs. Tyler Maltby (6’2, 213) is a Canadian-born forward from Sherwood Park, Alberta. The 22-year-old spent three very successful seasons with the Sherwood Park Crusaders (AJHL), racking up 95 goals and 72 assists in 163 career games. In that span, he also accumulated 391 penalty minutes. He split last season playing for the University of Lethbridge and the Stony Plain Eagles (ACHW). Alex Adams (6’2, 194) is a 25-year-old defenseman from Orangeville, Ontario who joins the Mariners after making his pro hockey debut with the Knoxville Ice Bears (SPHL) in 2017-18. Adams had ten points (four goals, six assists) in 15 games for Knoxville before finishing the season in Australia with the Adelaide Adrenaline where he put up 17 more points in 14 games. His college career was spent mostly with Wilfrid Laurier University. Adams has been a “Mariner” before, spending a brief time with the Yarmouth Mariners of the MJAHL in the 2013-14 season. 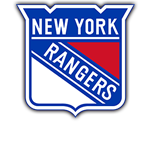 The Mariners, proud affiliate of the New York Rangers, will start play in the inaugural season October 13, 2018 as members of the ECHL. The ECHL is the premier AA hockey league in the United States. Season tickets for the Mariners inaugural season are on sale now by visiting www.marinersofmaine.com or call toll free 833-GO-MAINE.